Just had another enjoyable and memorable long weekend in London. 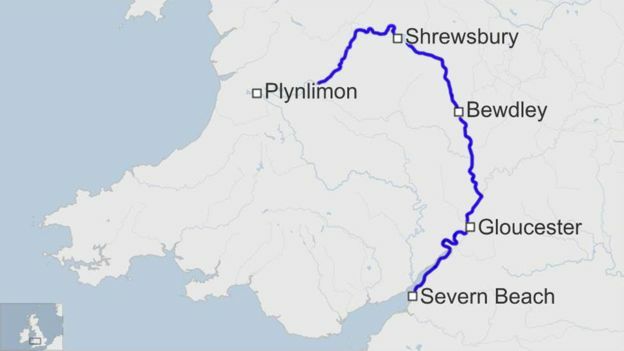 Decided that the best route for us is definitely taking the M40 motorway between Birmingham and West London in order to get to South East London. Worst bit is the south circular but far better than M1, M25 anticlockwise ” over the top” to Dartford crossing. 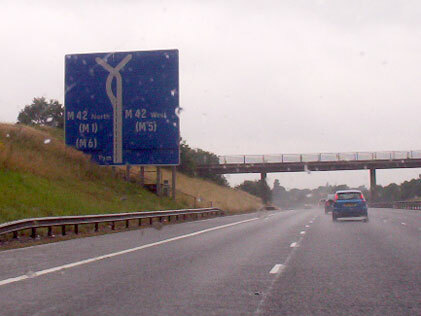 Above is a stupid and visually confusing motorway sign which I could not resist including here. Somebody got paid to design this. I admit though that I can also be very stupid at times. On the way down, making excellent time, unhindered by traffic or other obstacle we were set to arrive in good time. Until, I lost focus leaving the Oxford services and went North (!) not South. A twenty mile detour incurred . Do not pass GO, do Not collect £200. What a plonker! About half a day was spent in enjoyable fashion, practicing for the Bow Top caravan build. (see my other Blog, details at the top of home page.) 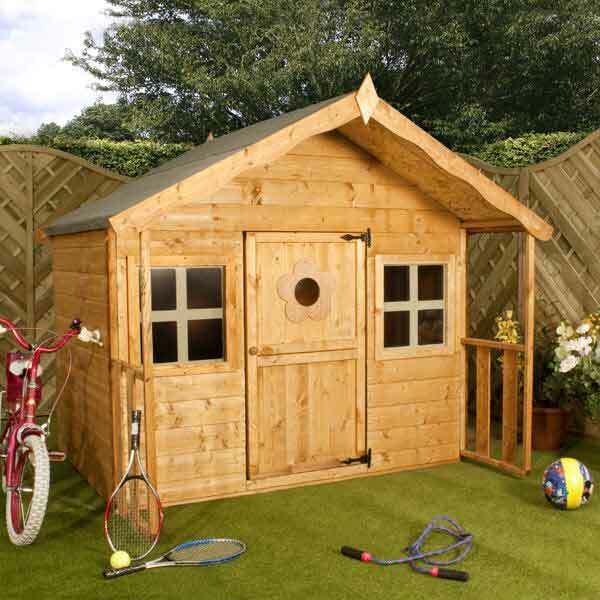 We built a child’s playhouse similar to the one shown here. It arrived , missing the screw, nail and fittings pack. So , in order to get it ready for the big birthday. ( ” I am Big , grandad, not two!”), a trip to B&Q had to be made. Well made, it was a huge success with adults being invited in and kicked out in sequence, despite the 50 kg limit which I exceeded easily. 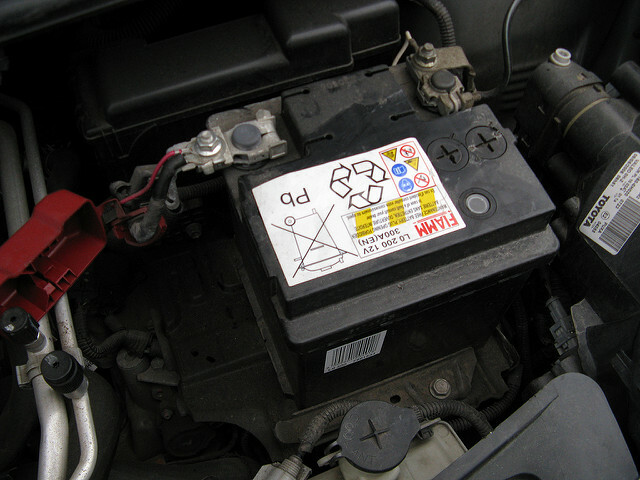 Then, on the morning of the big day, a call from my son had me driving the short distance to help swap his car battery. 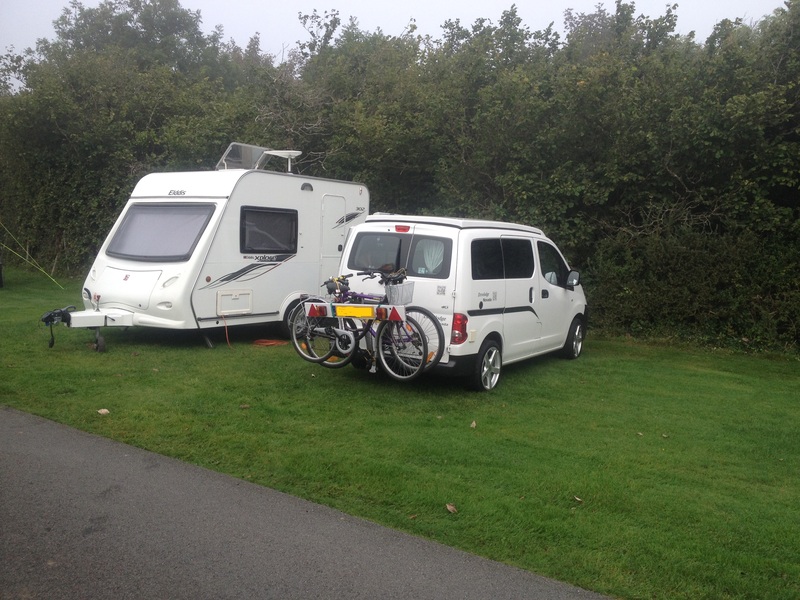 Stupid move made again, as I had forgotten to replace my decent tool set in the campervan prior to the trip. My smaller bits and bobs were not strong enough to remove the 12mm set pin holding the battery. Another trip to Screwfix to pick up a half inch drive hexagon socket sorted that problem and we were soon back in action with the little Aygo. Tried to get my son to commit to buying a replica of the 2017 WRC Toyota Yaris Rally Car. All I managed to achieve, was to get him to watch the Monte Carlo Rally on catch up , CH5. 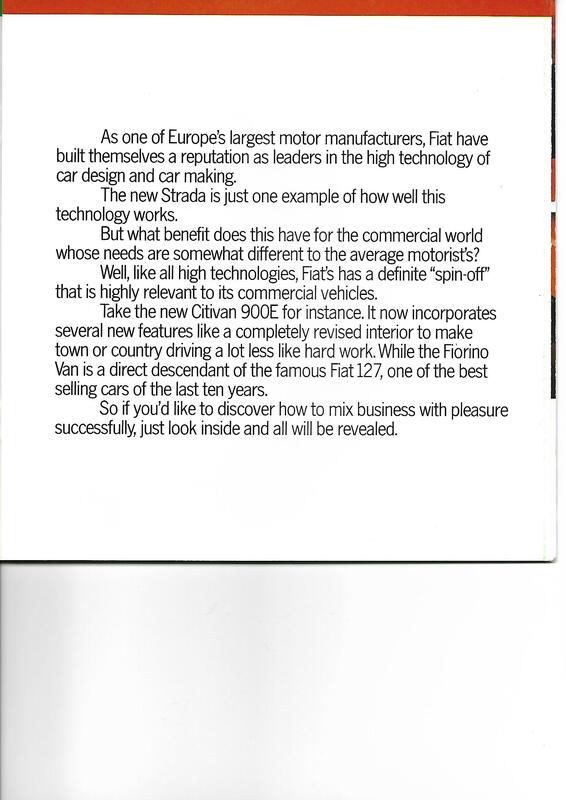 see below for more petrolhead comment. The birthday party went very well indeed. Diet forgotten for a moment and great fun was had. The return trip came around far too quickly and we were soon back home with daily chores to look forward too. Fuel consumption was very poor on this trip. A head wind on the way down and 70 mph cruising gave us a sub 40 mpg reading and we refilled the tank before getting home, which is unheard of previously. Just shows what a head wind can do. Burn’s night always brings back happy memories of past celebrations. I once had a Scottish boss who generously , each year, threw a party for our team which had a strong representation from our Scottish colleagues. Wonderful ! 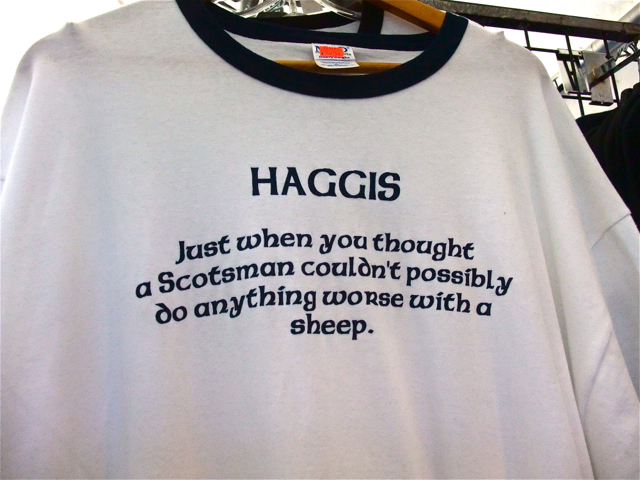 It also reminds me of my many previous Scottish trips. 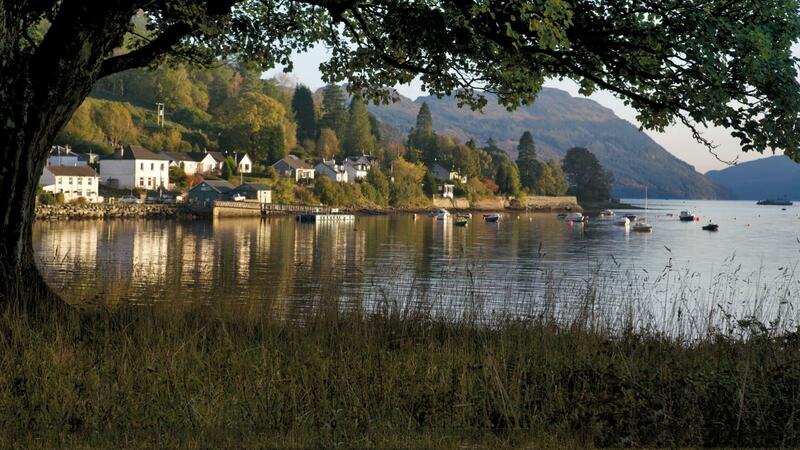 For example to Loch Goil and on another occasion, a trip to Skye.Then there was Aviemore, Sterling, Dundee……………. 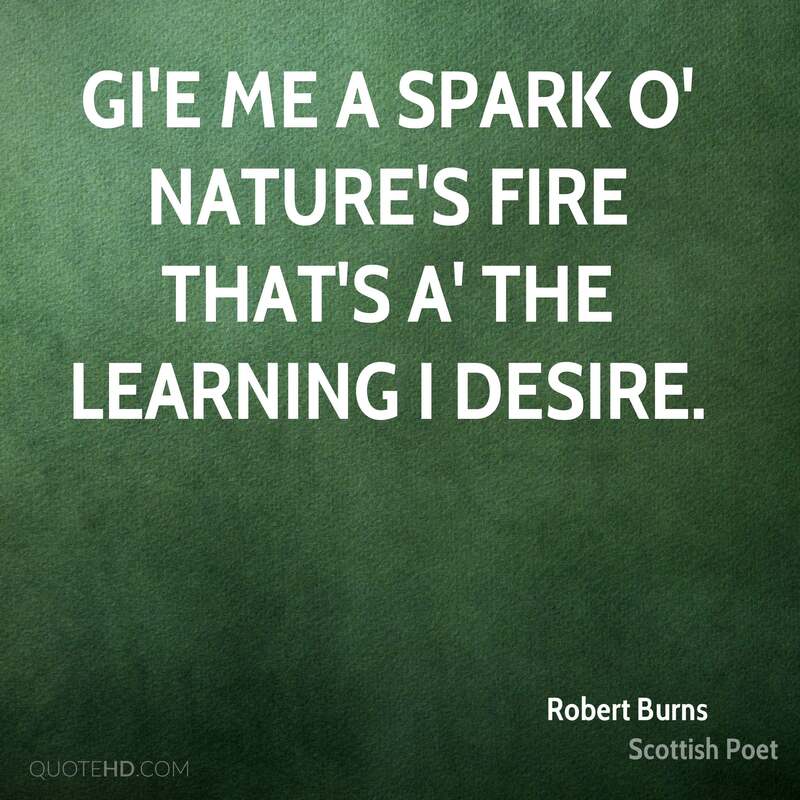 Robert Burns is linked with Haggis due to his poem about this famous delicacy. For our Scottish readers, please take this next picture as it is intended. A Joke. Being close to the Welsh borders and having very outspoken friends , many who style themselves on Piers Morgan (!!!!!!!!!) It is usually the Welsh linked with Sheep related jokes . No offence I hope. I laugh at the fattest jokes and shortest jokes aimed at me……….. Complete with broken yolk and scruffy plating up! Today’s version may be totally different. I have a turnip and potatoes fresh in. 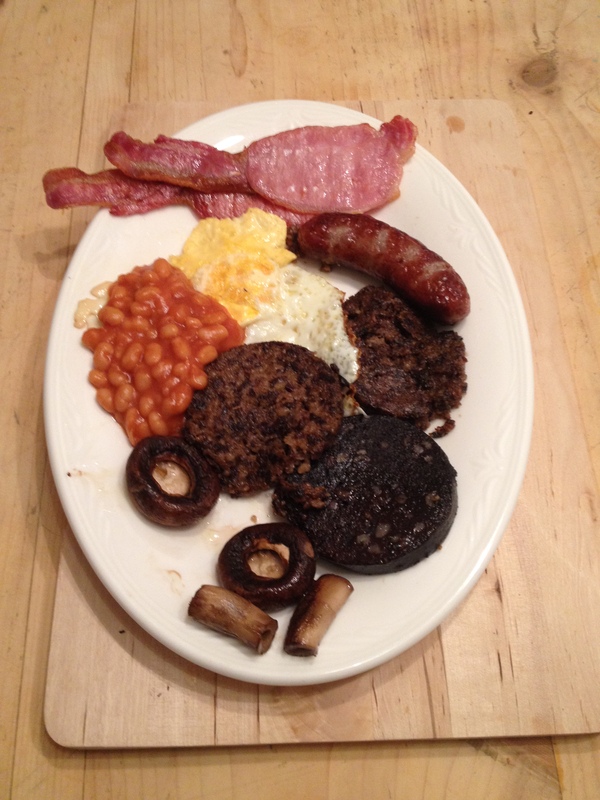 A smaller plate would not hurt either………. 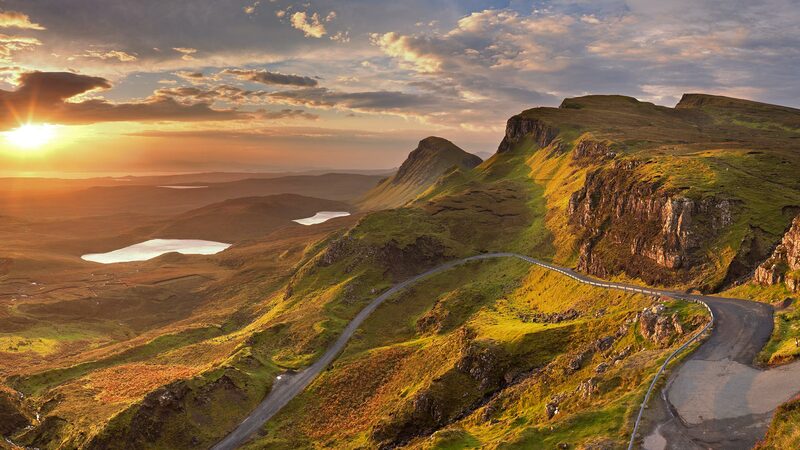 Cannot wait for our next trip to Scotland. 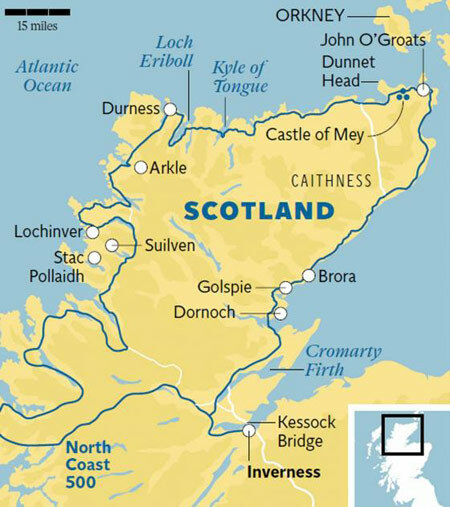 Will we manage the NC500 this year? How nice is that! Better have an extra glass of Whisky on Martin’s behalf. 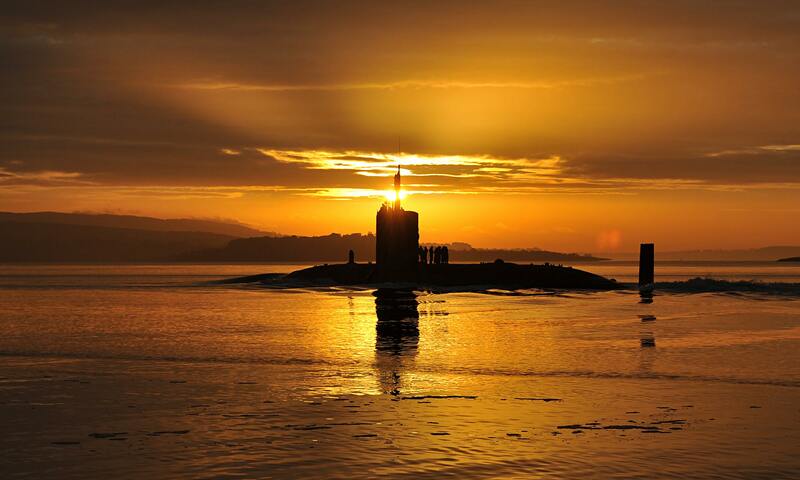 Perhaps one for Libby too and …. 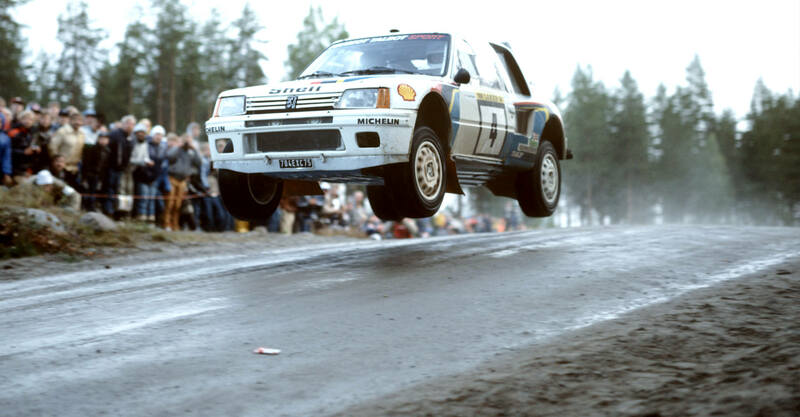 Three decades ago, what, in my opinion, was the pinnacle of World Rallying, Group B, came to an abrupt end. My long interest , nay , obsession, in Rallying began to wane. The cars became shadows of their former selves. The sound of monstrous, 500 + bhp engines, echoing around the forests was lost. Getting to the point, the cars for 2017 have changed a lot. I believe , after seeing last night’s footage, it heralds a new era of truly exciting motorsport. Below I comment further and make some comparison with the old Group B. I hope you enjoy this little diversion. The FIA relaxed the rules for 2017, allowing lighter cars than previously, down 25 kg from 1230 kg plus more power, up from 320 bhp to around 380 bhp. This was mainly achieved by increasing the turbo restrictor diameter by just 3 mm on these 1600 cc engines. Perhaps the most obvious changes are the visual appearance. Wider bodied with cooling ducts for brakes plus more aerodynamic aids to increase downforce. 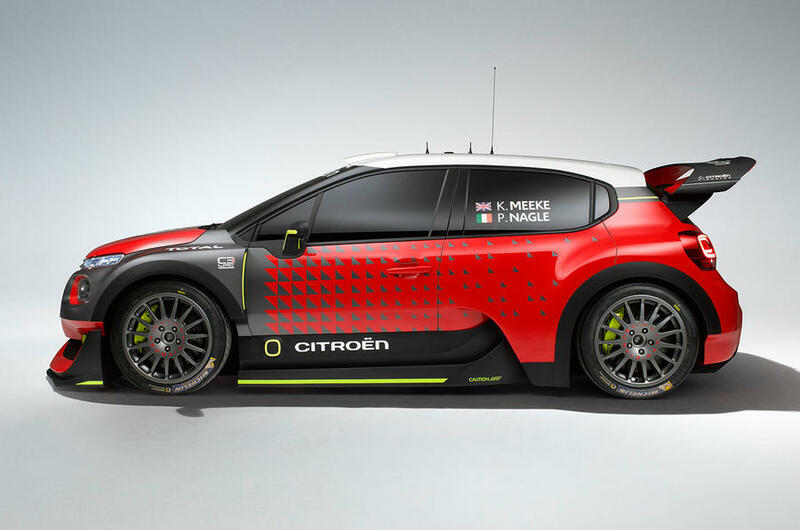 Many of the modifications appear to be taken almost directly from Formula 1 car experience. Rear wings have grown since 2016.Stunning ! Expect a lot more damage (?) to the underskirts particularly with the appalling surfaces they race on in the forests, especially once cut up by previous stage runners. They are beginning to look a lot more like the old Group B cars. 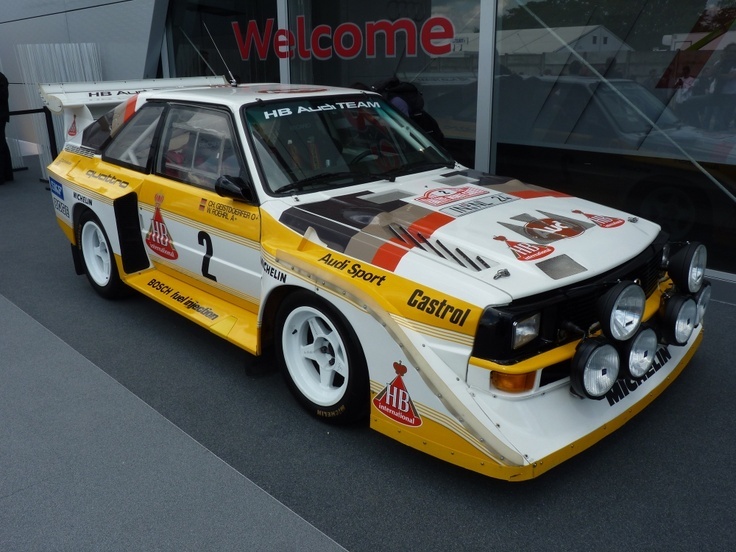 Compare to this Audi Quattro. First time out it won by something like 8 to 9 minutes from it’s nearest rival. One of my previously hotly tipped young drivers, finally found a confirmed drive with his old co-driver at M-Sport Ford. Yes, Elfyn Evans is back where he deserves. 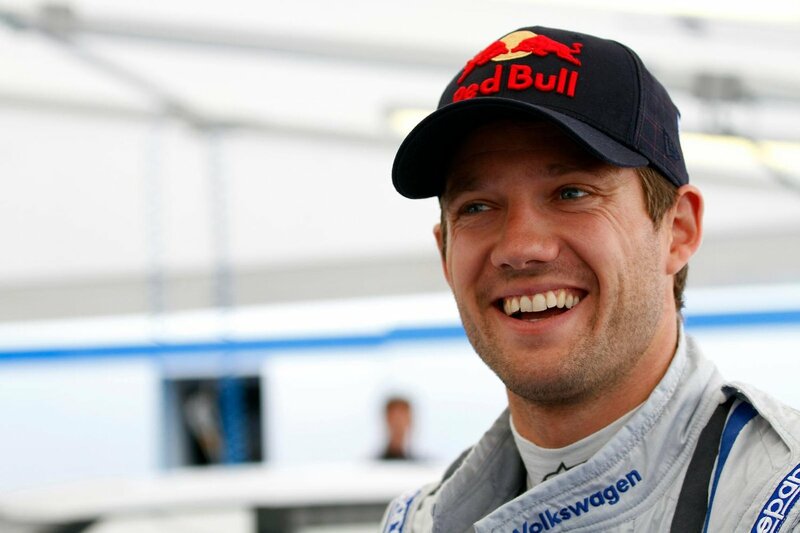 His team, lead by the familiar Malcolm Wilson ( who had driven Group B cars himself) also pulled a huge plus by employing Sebastion Ogier after VW pulled out after a very successful , 4 year dominance of the WRC. M-Sports also have the skillful Ott Tanak, driving for them. 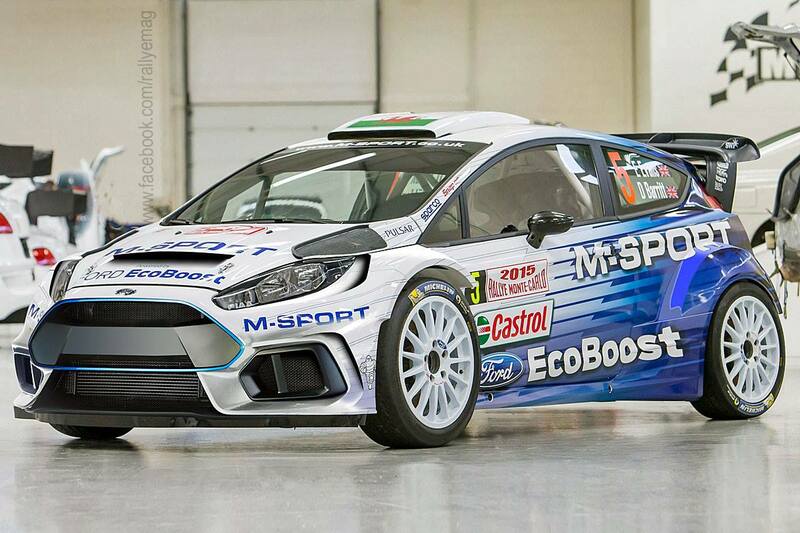 Elfyn Evans. I remember his dad, Gwyndaf Evans. Like father like son. Well done, lad. The Monte saw Ford take first place with Ogier in his Fiesta and third place with Tanak in his, despite engine issues causing a loss in power. With the very icy conditions, this did not have such a major impact on stage times as it would on dry tarmac, but what an achievement ! 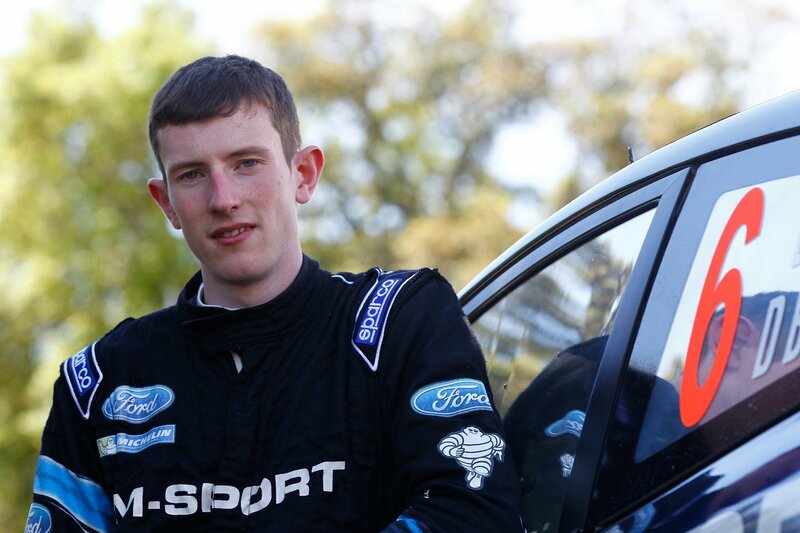 Sixth place went to Elfyn Evans. An incredible result first time out.That’s a Fiesta way above. 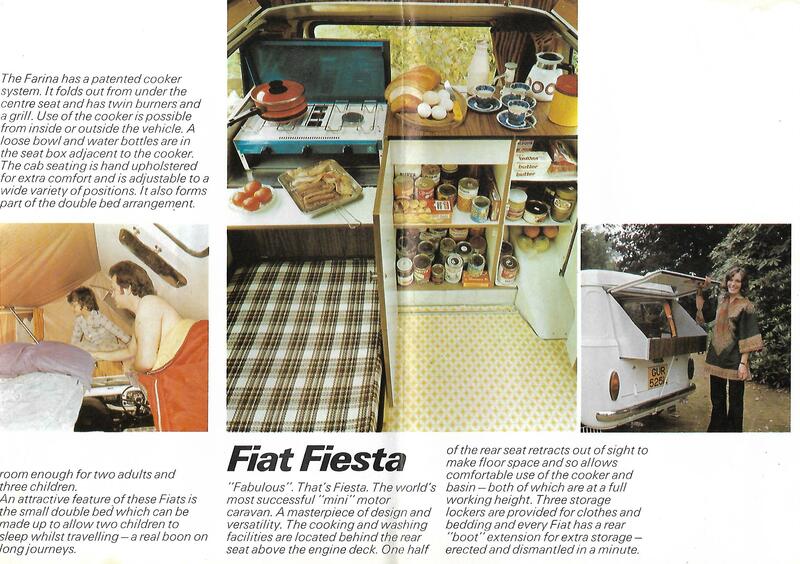 Don’t mistake it for the Fiat Fiesta micro motorhome in the post below. Not much chance of that. But please have a look anyway. 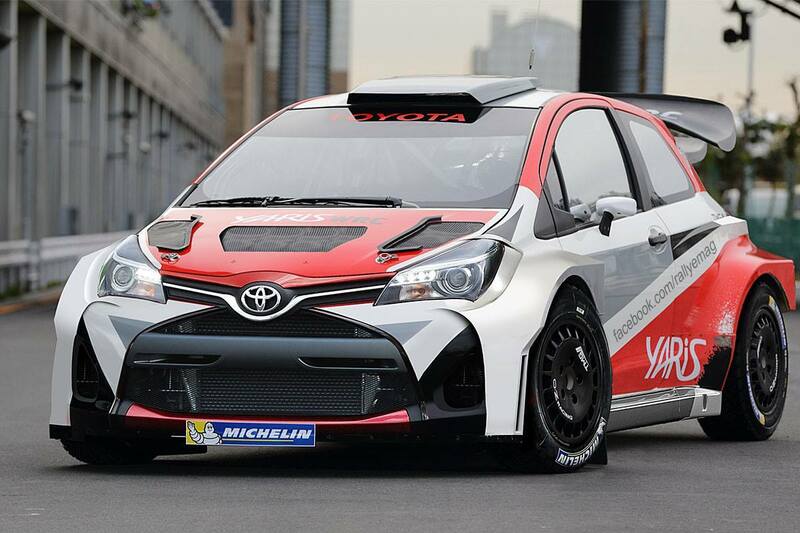 Toyota, who years ago , got disqualified, in disgrace, for fitting illegal, larger diameter restrictors outside of the then reulations, returned to rallying, I am very pleased to say, with their Yaris. This is a very spectacular looking car in my opinion. Wow ! Jari-Matti Latvala took his to second place. Obviously more to come from Latvala and Toyota. I see a long fight ahead on the WRC stages this year. The Hyundai i20 of Thiery Neuville also looks to be a big contender. I did some “fag packet” calculations and the new 2017 cars compare very well with the old Group B cars. Group B cars had some 500 bhp vs 2017 WRC 380 bhp but weights were different. If my calcs are correct then the new 2017 cars carry just 8 lbs per horsepower whilst the Group B cars carried a little more porkiness being 9.77 lbs per horsepower.I know that is not a conventional way to compare power to weight ratio but you get the picture. We appear to be firmly back in “Group B” territory. Yeah ! No wonder 2017 looks to be a year to look forward to. Sadly, a spectator struck on Stage 1 when a car slid off the track, died in hospital despite being helicoptered out. A dreadful thing to happen. Our hearts go out to friends and family. It is truly saddening. Knowing Jack very well, having spent three decades sitting with him chatting for a couple of hours before he ate his Sunday lunch we had prepared for him, he was a meticulous planner and deep thinker. 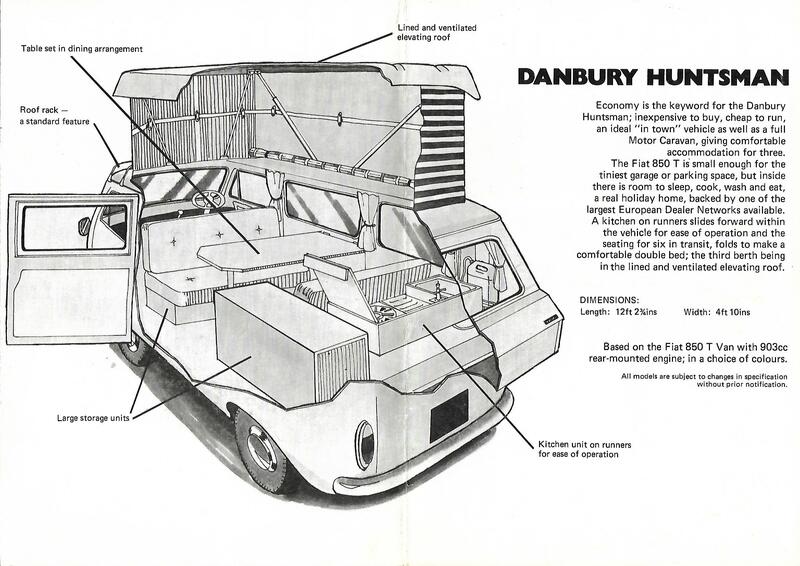 He must have spent hours carefully going through the varying features and benefits of each of these models from Autohomes, Danbury and MCC of Hockliffe, Bedfordshire before purchasing his first venture into motor caravanning. 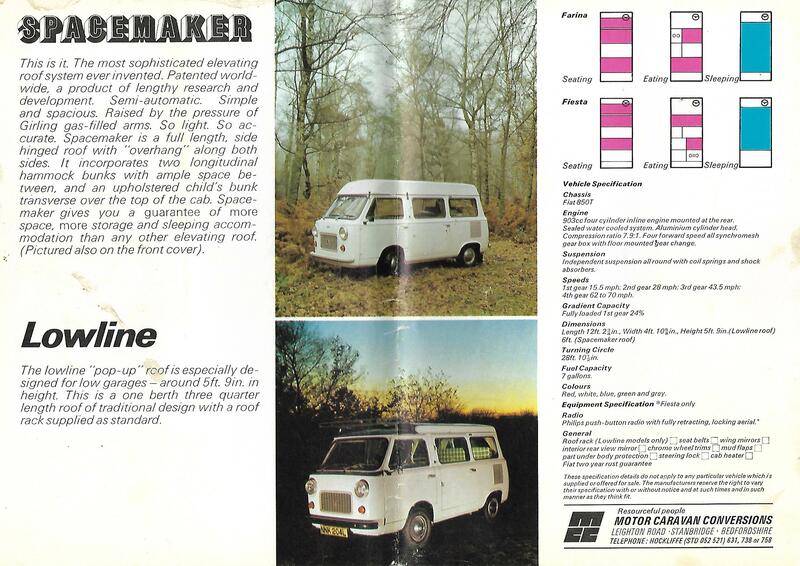 Model names like the Farina and Fiesta with “Spacemaker” and “Lowline” roof systems. Anyone remember these? 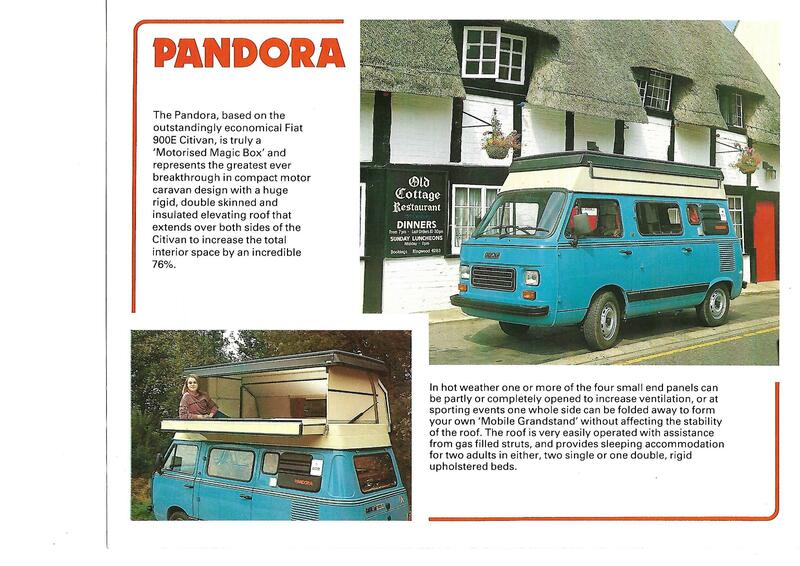 A low mileage 1983 900e model Pandora 4 berth sold recently on eBay for over £10,500. 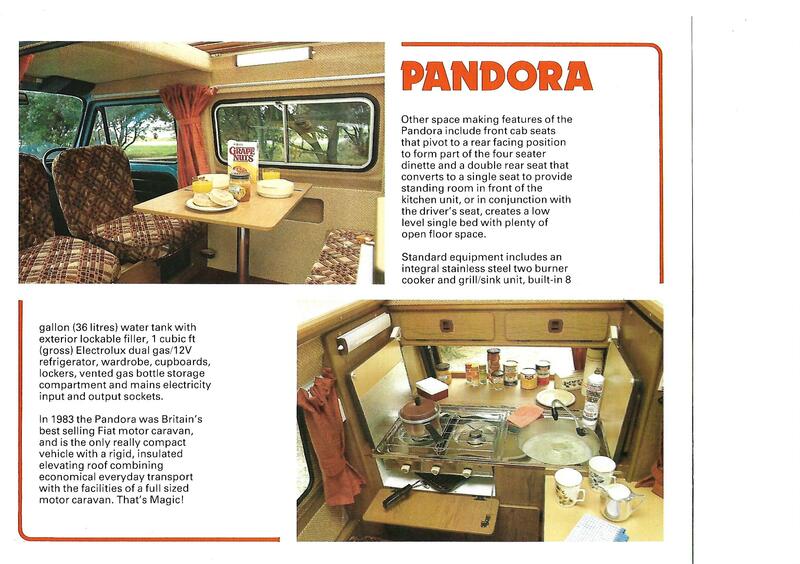 Jack’s records show that his choice of Pandora ranged from a pencilled in £6,650 to £6,991 so that’s an appreciating motor caravan if you can keep away the dreaded rustworm. Except for the fact that a pound today is probably only worth around a quarter of what it was then or even less. Jack’s research extended further into the Fiat base vehicle. 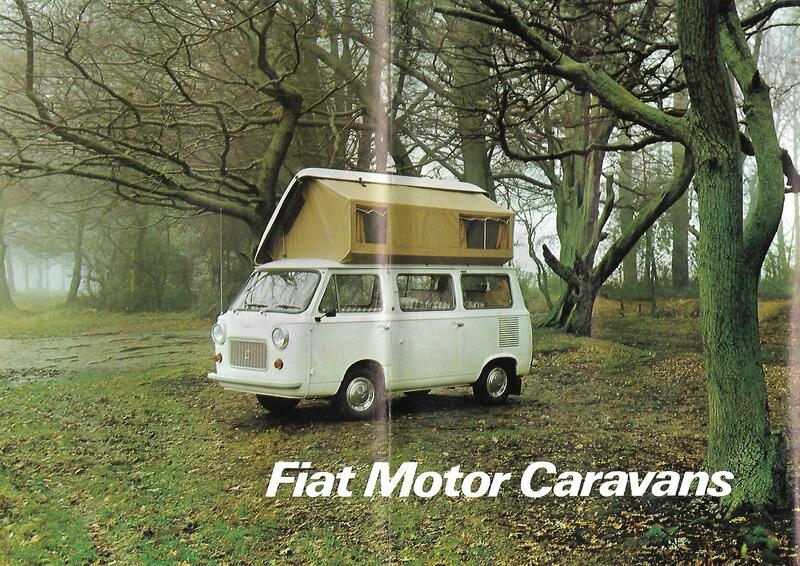 The Fiat Citivan as it was known here in the UK. It is worth clicking on and zooming in on the pictures. 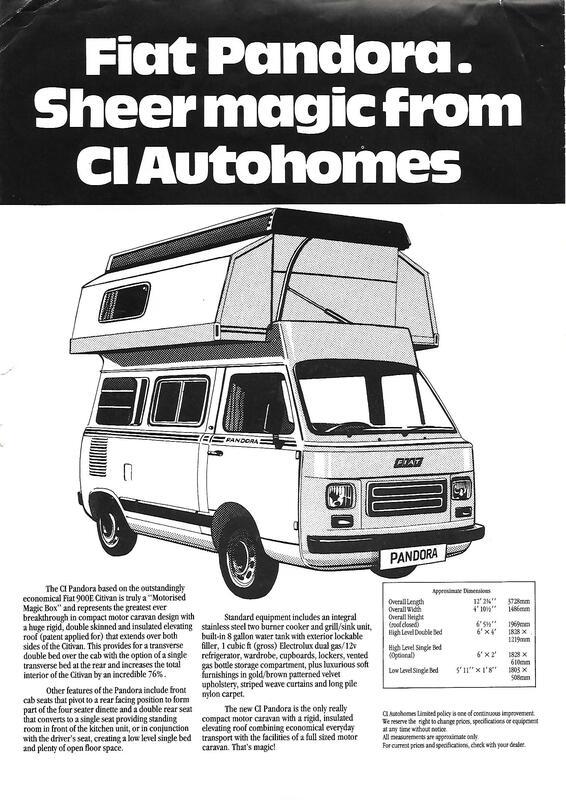 For example, the Citivan boasted of 34 bhp ! and “fully painted bodywork!”. 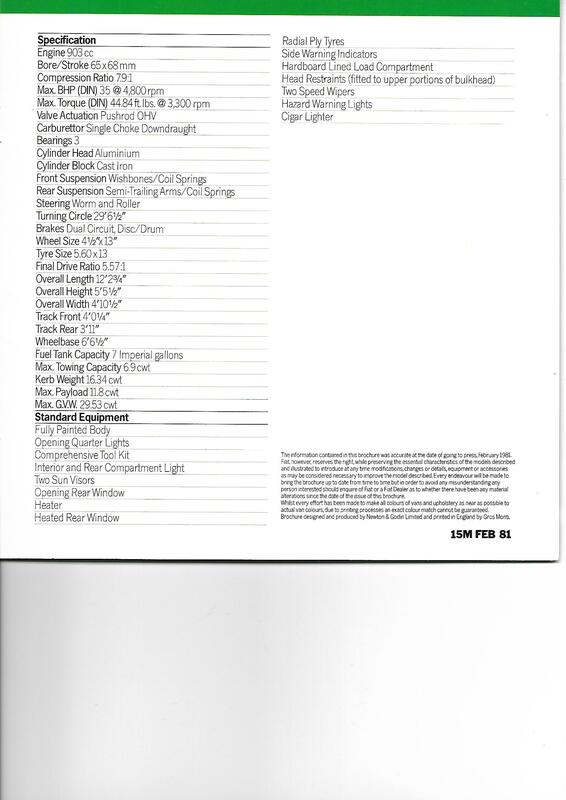 Well, that’s a relief……… Compare that to my NV200 with 110ps and 6 sp box. 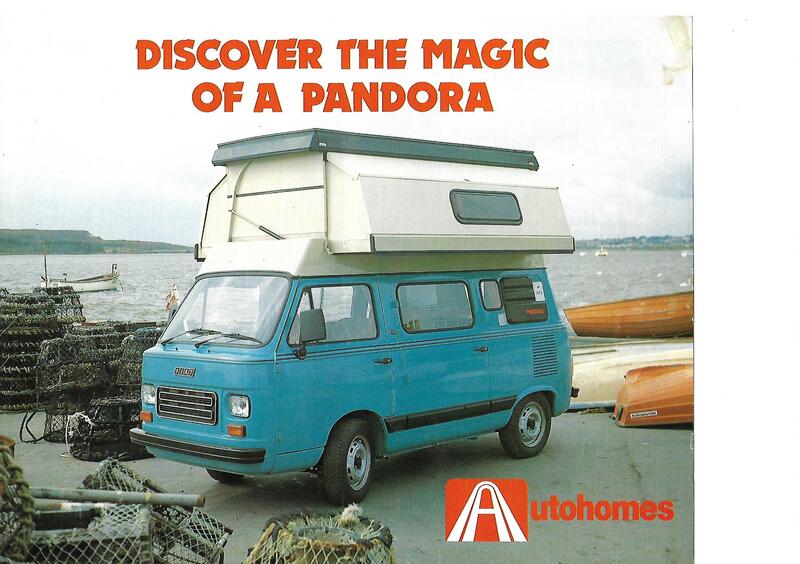 The Pandora couldn’t have set the tarmac alight could it? 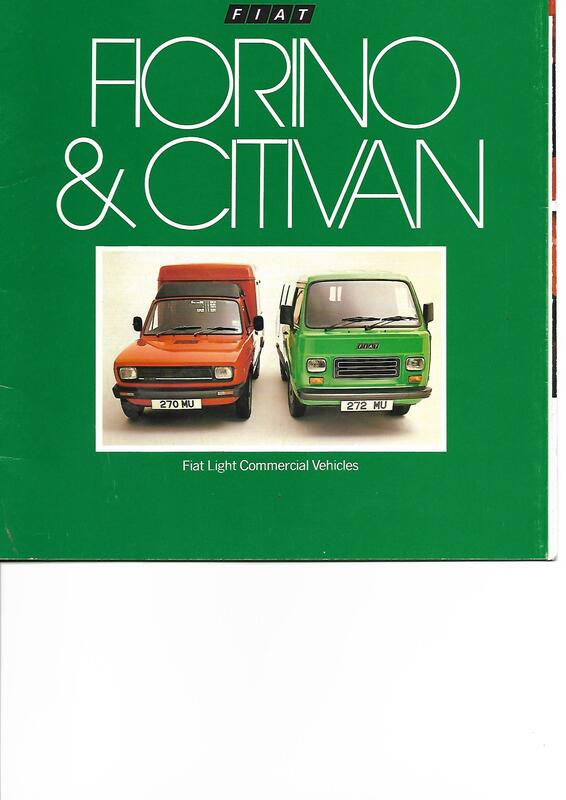 The brochure covers the Fioreno, 127 based van plus the Citivan shown here. It started off with an 850 cc engine which grew into the 900 e version. 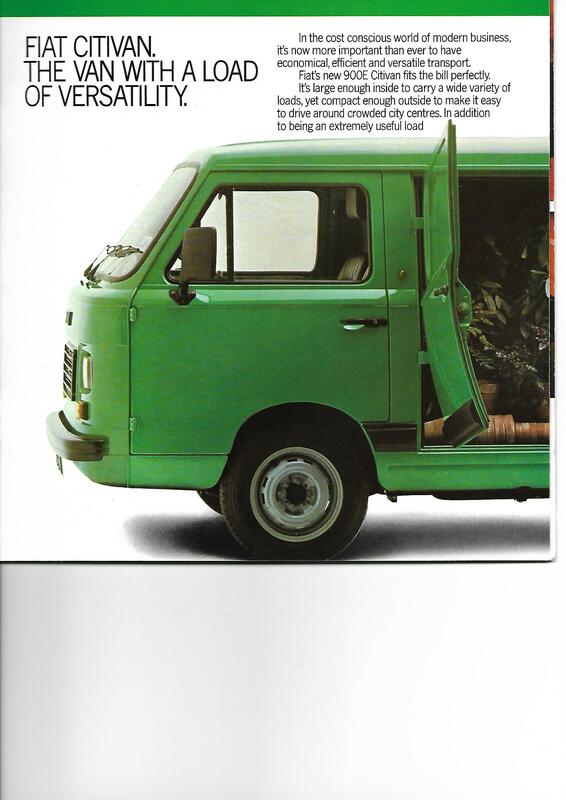 The brochure from Fiat follows their 1970s standard, “British Racing Green ” cover. 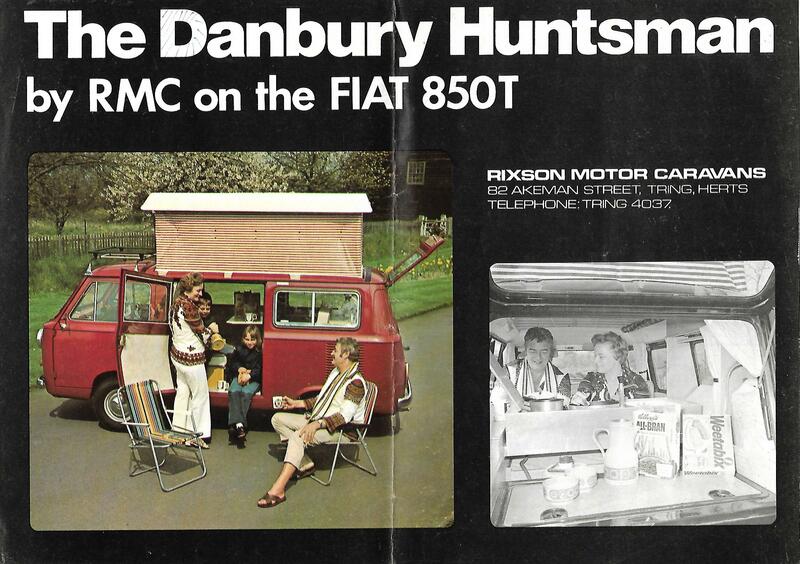 I have a matching version for the Mk I Fiat X19 that I was fortunate enough to buy soon after we married. 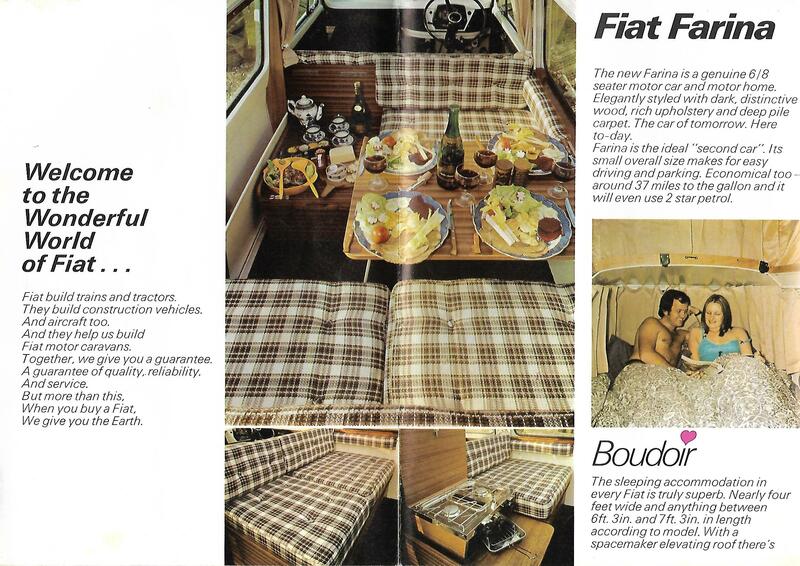 Jack and his wife journeyed far and wide in their little Fiat. 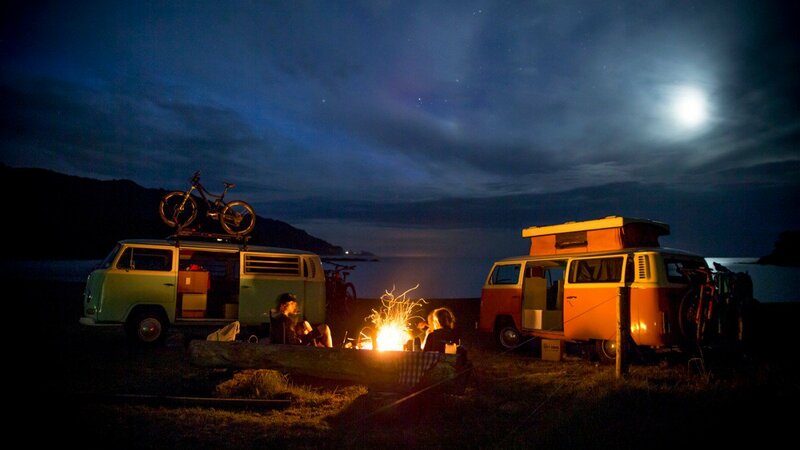 Certainly Cornwall, many many times before they moved onto larger Fiat Ducato based van conversions. 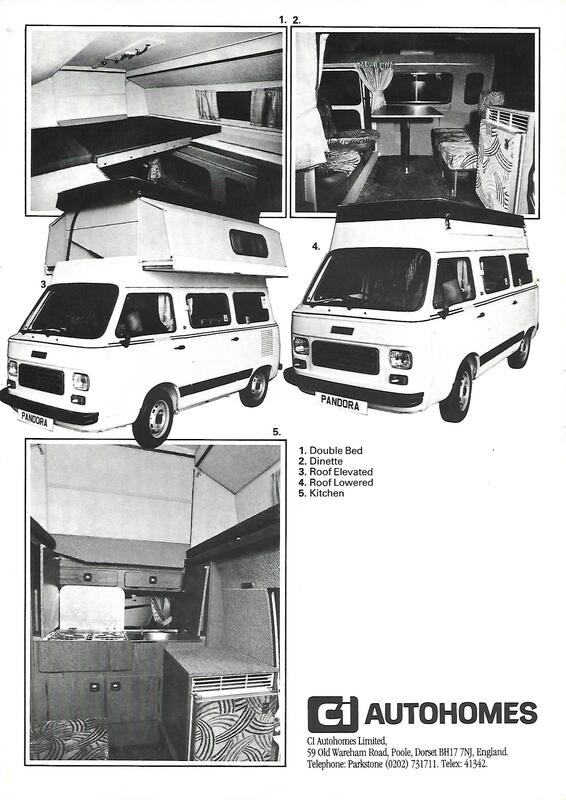 They had two versions of Citivan conversions, I believe and two Ducato based Autohomes branded motor caravans. 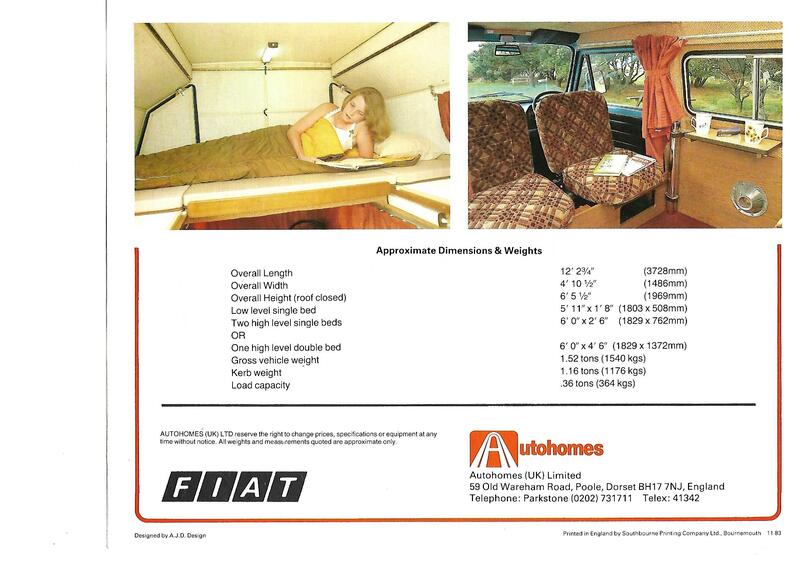 Jack was delighted when I bought a Minnie Winnie and then an Autohomes Talbot Excalibur. 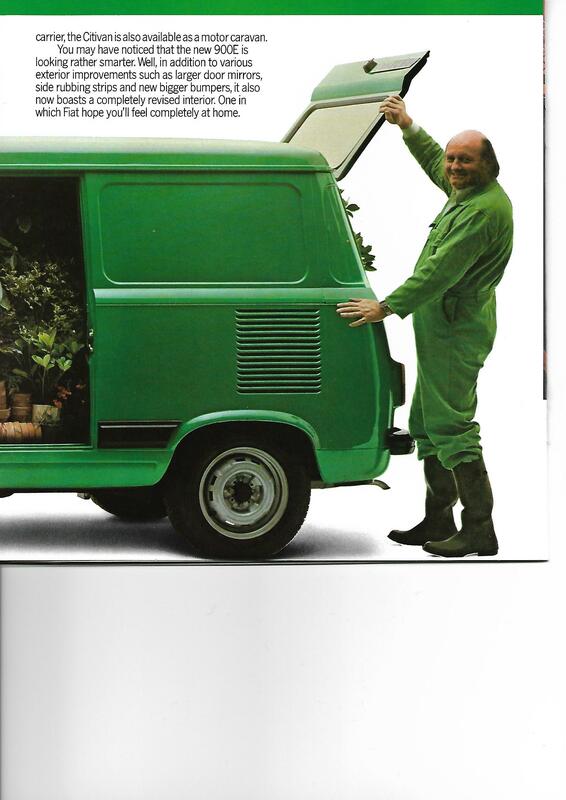 I think he would have preferred to have seen us in a Fiat though. 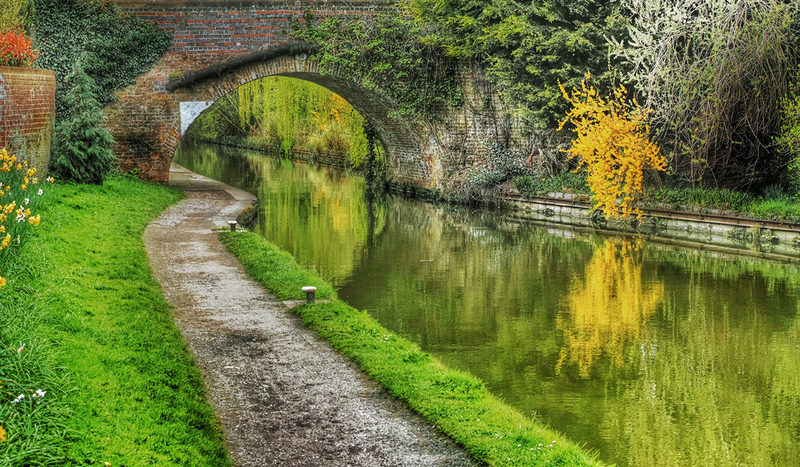 This is the Leeds-Liverpool canal near Chorley. 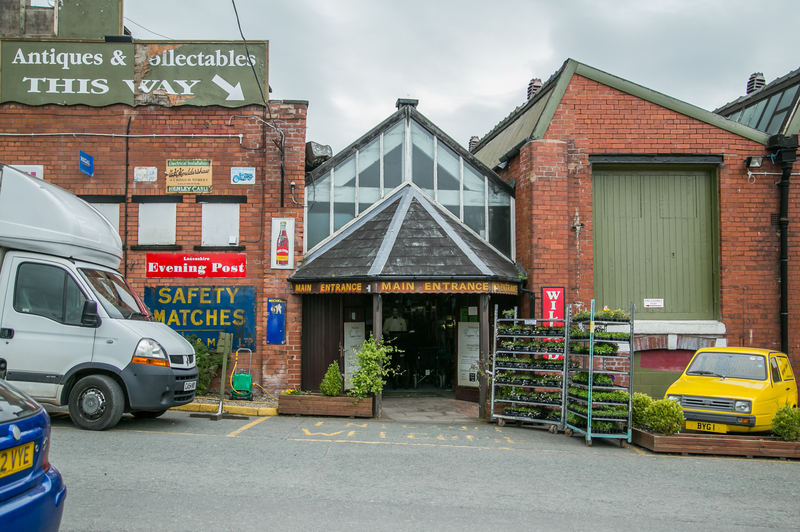 It’s not far from Bygone Times at The Green, Eccleston in Lancashire. It’s a very large building. It used to be a mill, making Rayon at one point. I encountered an elderly chap coming towards me in one of the narrower walkways (no, he was not one of the famous Ghosts). We had a laugh about the loudspeaker announcement that “Thursday is Pensioner’s special offer day in the Cafe.” I mentioned Amanda Holden but he was more of a Joan Collins fan…………. He then looked me in the eye and made an announcement himself . ” I have never seen so much ……….. in one place before” he whispered, before sliding past me , swinging his walking sticks. Admittedly, there is quite a stock of some rather mundane “car boot” type stuff on sale but that depends on your tastes. There is also considerable material to keep you browsing for hours. Like these evocative Lancashire clogs for example. As a wet behind the ears newcomer, I used to work with a bloke who had many interesting and often very politically incorrect , terms of phrase. His openly spouted nicknames for the staff working with him were literally appalling ! Bigger than normal ears? :- “Wingnut”. A man named Eric:- ” Irke” as in Irkesome, meaning irritating or grating. How to make friends and influence people!!!! Believe me, he had much worse. Unprintable here! 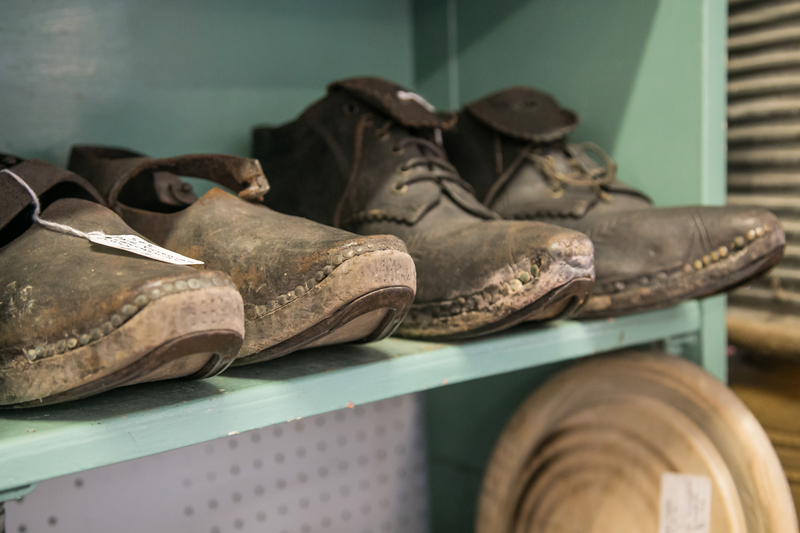 The soles of these clogs were nailed on and these made distinctive noise as you walked. You could probably actually make them spark on flinty stone surfaces? I never wore these by the way. It’s just that they reminded me of those comments ringing in my wingnuts. A light bulb idea from a dull, misty day in the hills of Salop. On the way to Church Stretton we passed , as usual, over the slow moving River Severn at Shrewsbury. We often comment how nice it would be to be floating down the river towards Upton on Severn and the Red Lion Pub caravan site where we have stayed a few times. Despite the very atmospheric , rolling mist coming off the Shropshire Hills, it did occur to me that this would be a real possibility. My brother recently bought a top end, inflatable canoe for use in France. He’s not far from the Tarn Gorge , for example. 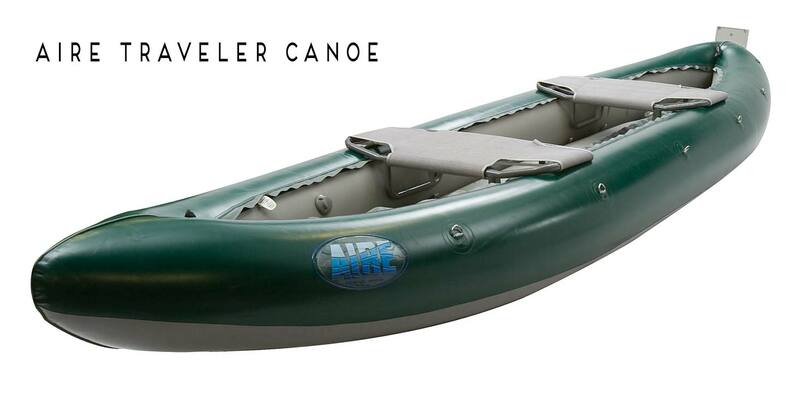 Perfect for canoe or kayak. 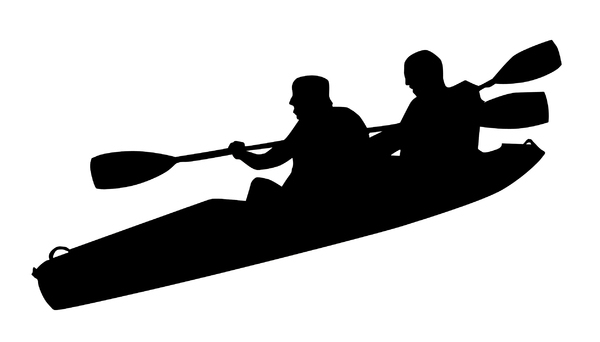 Canoes can be hired from Pool Quay near Welshpool and the Severn offers around 130 miles of navigable route. 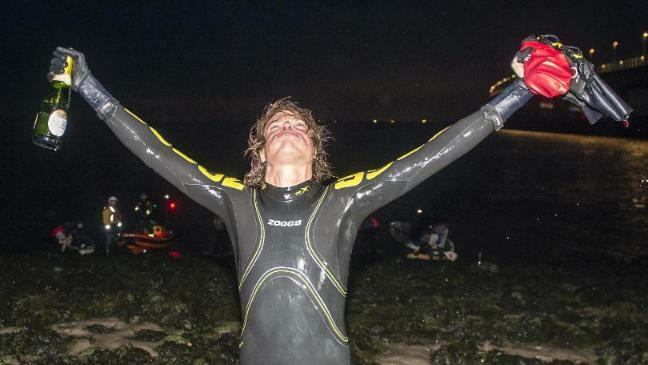 One chap, Kevin Brady recently SWAM 220 miles of the Severn. Quite an achievement ! To say the least. 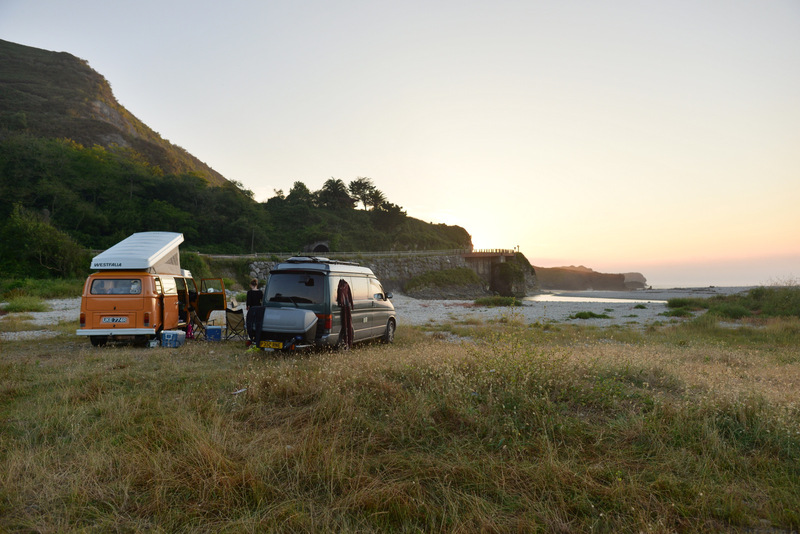 With the correct logistics, you could canoe a stretch each day and meet back up with the campervan at pre-arranged campsites near the River. Motorised river traffic gets busy as you get further downstream and tidal near Gloucester. Best avoid the Severn Bore in a touring canoe with weak upper body strength! Once, in France, whilst walking along the River Garonne near our camped up Trigano Tribute, we came across a chap struggling to put a canoe back on top of his car. In French, he asked me to help and for a short while we chatted in French. I thought that he had a strange accent. Lot et Garonne dialect , methinks. Then, in English, he said “are you English?”. ” Yes” says I. ” So am I !” says he. Allo Allo ! The campsite there had a rather worrying “Emergency Flood Escape Route” away from the massive Garonne. Gulp ! I’m putting myself off already. A nice place to eat. Not sure where it is. It just looks …… nice! Like thousands of others , we are currently also trying to cut down and lose weight. I have to look good in my little page boy outfit for that forthcoming wedding. Don’t want to look like a “Cranky” ! Hence, decent length walks during the day to pay for a sensible pub meal or caravan home cooked meal at night. A decent DVD., feet up, heating on and get ready for the next day’s walking. Oh yeah !